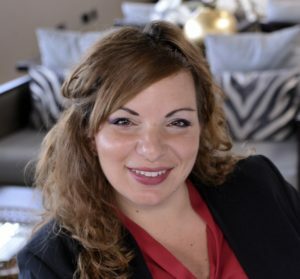 Ilaria Iacobini has an international aviation experience, having started her career 15 years ago in Rome, Italy and is currently living in the UK. Previously Deputy Station Manager for Universal Aviation at Rome Ciampino, her current role is as Ground Handling Sales Manager EMEA for Universal Aviation, the ground handling division for Universal Weather and Aviation headquartered in Houston, Texas. This position includes expanding the ground handling business with new and existing clients. Ilaria particularly enjoys working not just with Universal’s European FBOs but with the wider network in APAC and Latin America. This gives her the opportunity to expand her knowledge of different regulations and environments and also gives her the chance to use different languages, which she still studies to remain proficient. Ilaria is a strong believer in team work and has a passion for learning, with both sales and operational focus. When not travelling back home to Rome or cooking Italian food, Ilaria enjoys spinning, zumba and salsa dancing.